As a Catholic School we actively promote values, virtues and ethics that shape our pupils' character and moral perspective, through the teachings of the Church. 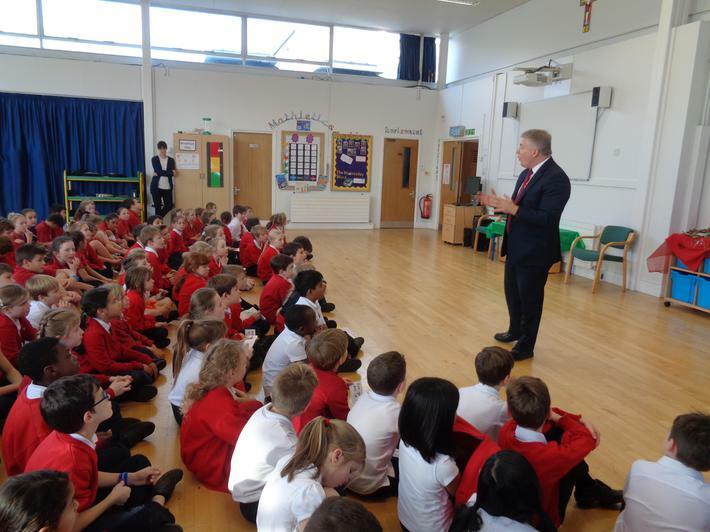 We are confident that our continued focus on the Gospel Values will give our pupils the necessary awareness of what it means to be a good citizen in Britain today, and embed in them the building blocks of a future successful and productive life. Through our RE, PSHE, SEAL, Geography and promoting The Common Good we are able to make real links between the values of our pupils and the lives of others in their community, country and the world in general. 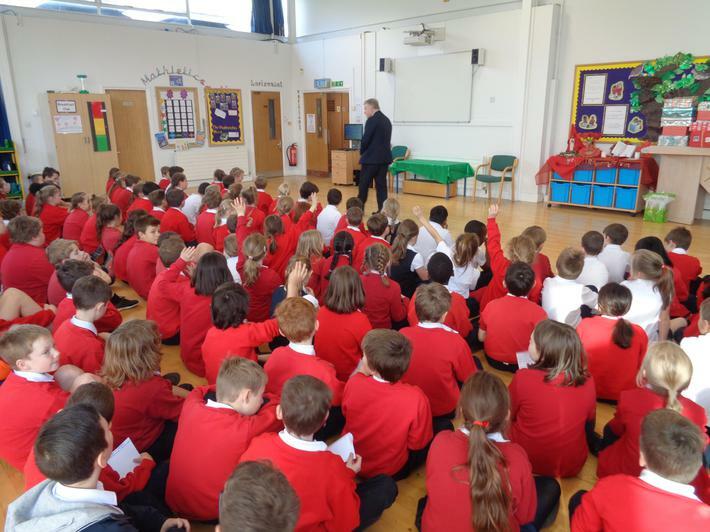 Through our Creative Curriculum we teach about democracy, civic responsibility, rules and laws, the monarchy, equality, values and virtues, environmental awareness and understanding of other faiths . 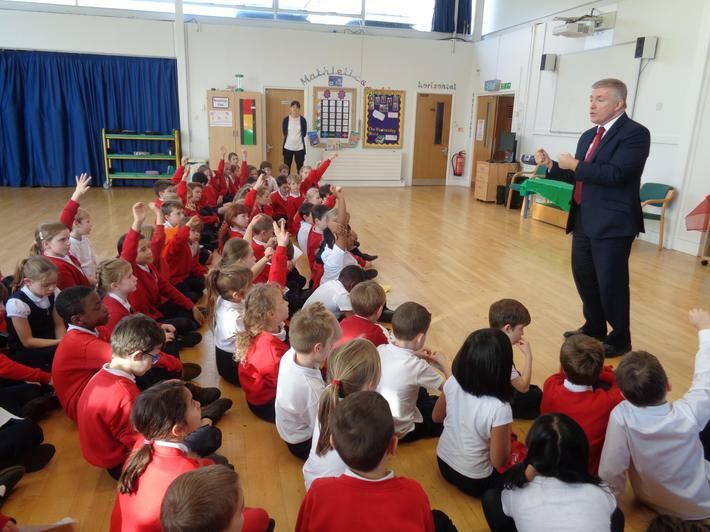 During Parliament Week every class talked about democracy and how our right to vote is one of our British Values. Year Four had a debate about bullying and Year Three set up a mini-Parliament on the playground. We thought about how we show that democracy is important at Sacred Heart through our school council. 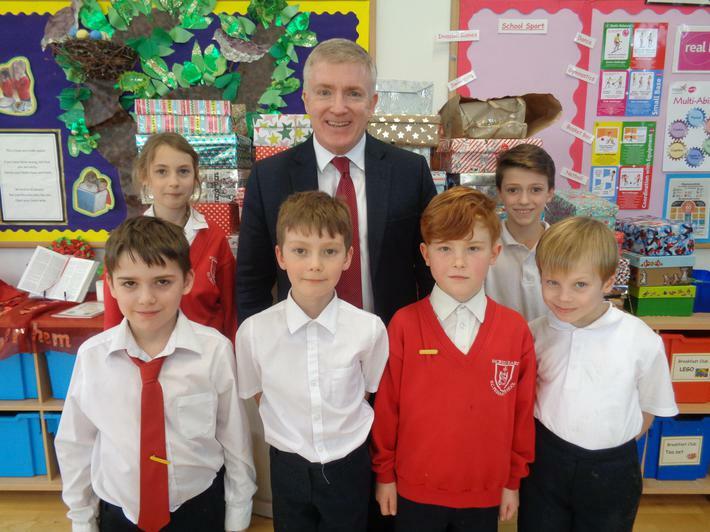 On Friday 17th November we had a visit from our local Member of Parliament Mark Prisk. 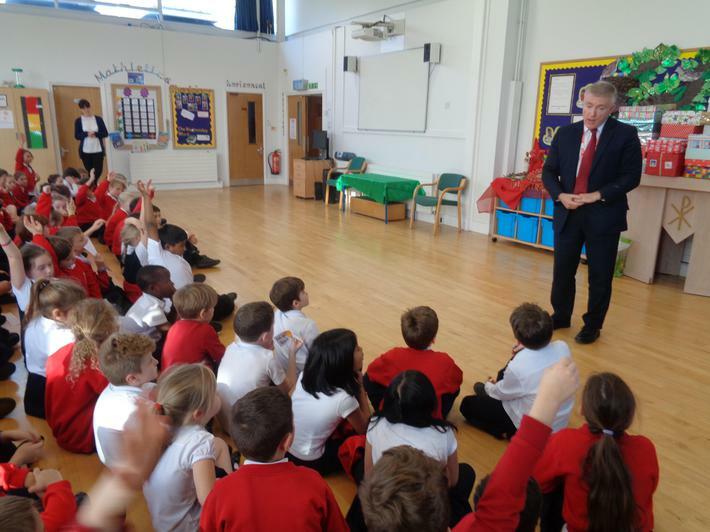 He told us about what being a MP is like and answered lots of our questions!